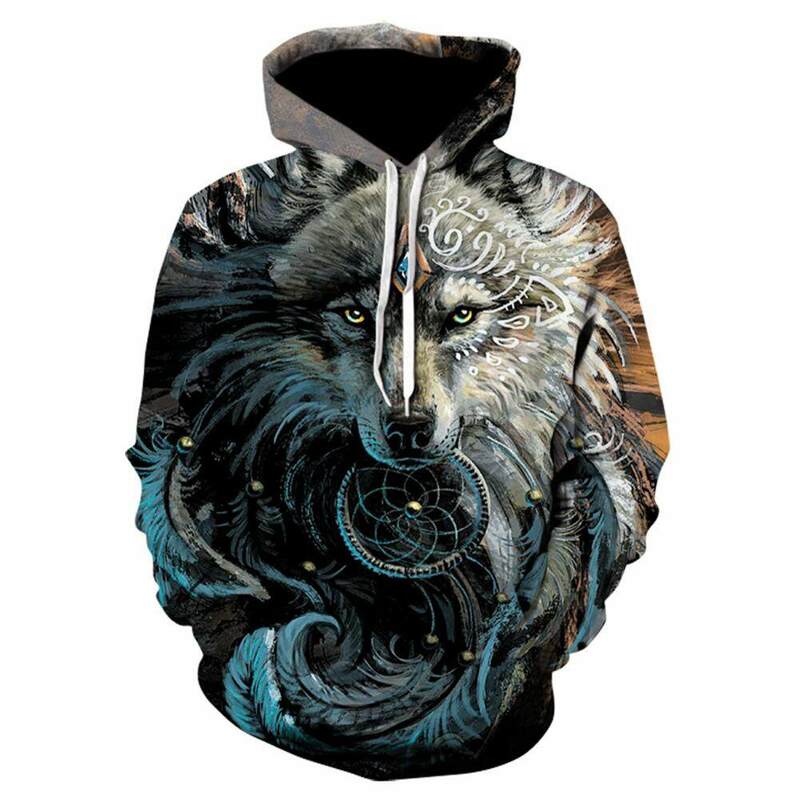 Description: Product type: hoodie Color: as shown Main fabric composition: spandex Style details: printing Pattern: animal Clothing pocket style: three-dimensional patch pocket Thickness: general Style: loose fit Whether Hooded: hooded Size: Length, Bust, Sleeve, Shoulder S: 63cm, 92cm, 63cm, 42cm M: 65cm, 96cm, 65cm, 44cm L: 67cm, 100cm, 67cm, 46cm XL: 69cm, 104cm, 69cm, 48cm 2XL: 71cm, 108cm, 71cm, 50cm 3XL: 73cm, 112cm, 73cm, 52cm Packing list: 1*hoodie Note: There might be a measurement tolerance of 1-3 cm due to different measuring methods, please refer to the size chart to choose a suitable size, and you can email us for suggestion if not sure about it. Color deviation might exist due to different monitor settings and light, please kindly understand. Please let us know if you have any problem, and we will try our best to solve it ASAP. Thank you so much! Comfortable material: soft, stretchy, and breathable, very comfortable to wear. Special design: cool 3D print lion pattern, fashionable and eye-catching. Washable: good shape stability, not easy to shrink after being washed. Unisex style: suitable for both men and women, great for couples to wear.